If agricultural harvesters or tractors have to be moved, it can normally be objected as a transport of agricultural machinery. Generally, a specialized transport, oversized transport or a heavy-duty transport is needed. 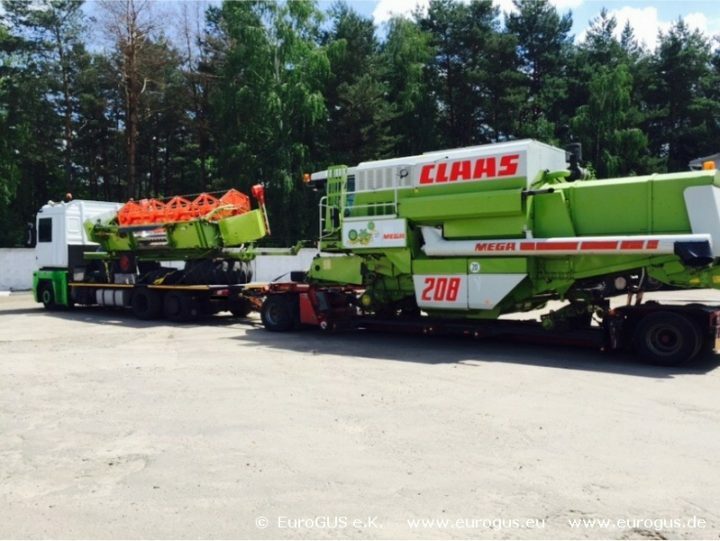 In May 2016, we successfully completed a special transport of a harvester from Germany to Ukraine. The transport of agricultural machinery from Germany, the Netherlands, Italy, other EU states to Ukraine, Russia, Kazakhstan, Belarus, Uzbekistan, Turkmenistan, etc. as well as other CIS countries are a special challenge for both, sender and receiver. If agricultural machinery such as harvesters, tractors and agricultural harvester machines have to be moved, you will normally need an oversized transport or a heavy-duty transport. 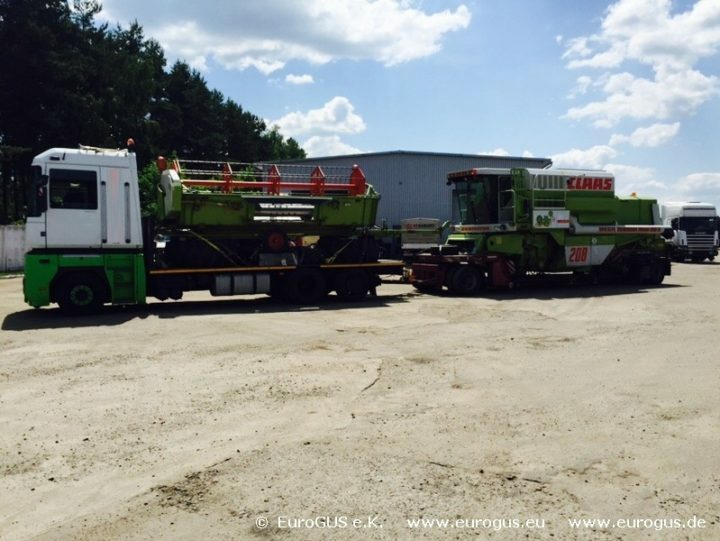 The machines have to be transported over long distances on the road. Import and export requirements must be respected, especially with a view to transit countries. In order to ensure an efficient and payable processing of a specialized transport, it is the best to engage an experienced international carrier or other transport companies. A carrier being specialized on oversized transports and heavy-duty transports knows all relevant transport regulations and can deal with the complex bureaucratic processes to ensure a timely handling. If a specialized transport from Germany, the Netherlands, Italy, other EU states to Ukraine, Russia, Kazakhstan, Belarus, Uzbekistan, Turkmenistan, etc. as well as other CIS states is needed, excessive paperwork concerning import, export and transfer has to be executed. Language problems are also quite common – but a precise knowledge of the factual situation and the bureaucracy is absolutely important. If companies need a transport of agricultural machineries and harvesting machines to Ukraine, Russia, Kazakhstan, Belarus, Uzbekistan, Turkmenistan, etc. as well as other CIS states, they have to engage a specialized carrier by all means. These carriers have employed specialists, knowing the local formalities, special routings and the best times of day for a quick and cheap transport. Above all, the important contact persons at the local authorities are well-known, so that all import and export requirements can be handled within a reasonable period. Additionally, there normally are no language problems because at least one employee is capable of the local language as well as the necessary business language. It´s simply the best to engage a specialized company with years of expertise for special, oversized and heavy-duty transports to ensure a quick and trouble-free handling including the processing of all necessary administrative formalities.